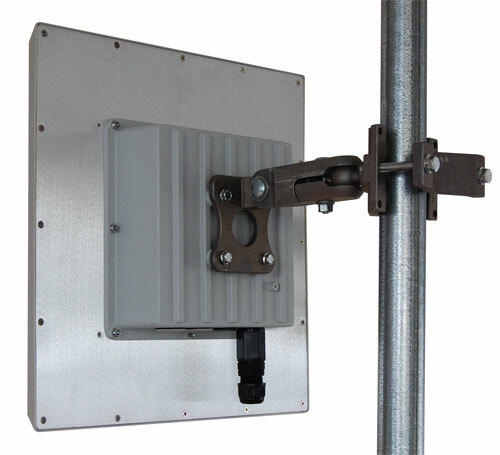 Assembled Outdoor Radio - ARC Wireless 2.4GHz 19dBi antenna, LED window, ECS Ethernet Connector System, Mikrotik RouterBoard, radio, and POE supply. Note: These are built to order and require assembly time for completion. We might not be able to ship your order same day. Please call ahead if next day delivery is required.